…And other things I learned on my trip to Europe: COMING SOON! I promise I will post more about Austria and Italy once I get a moment to write a post–between working for money, writing for my UCLA course, and traveling to Minneapolis for work this week, I’m losing out on time to write what I want to write about! I also have a few reviews in the queue, including a review for the book, The Yellow Birds. Stay Tuned to History & Wine. 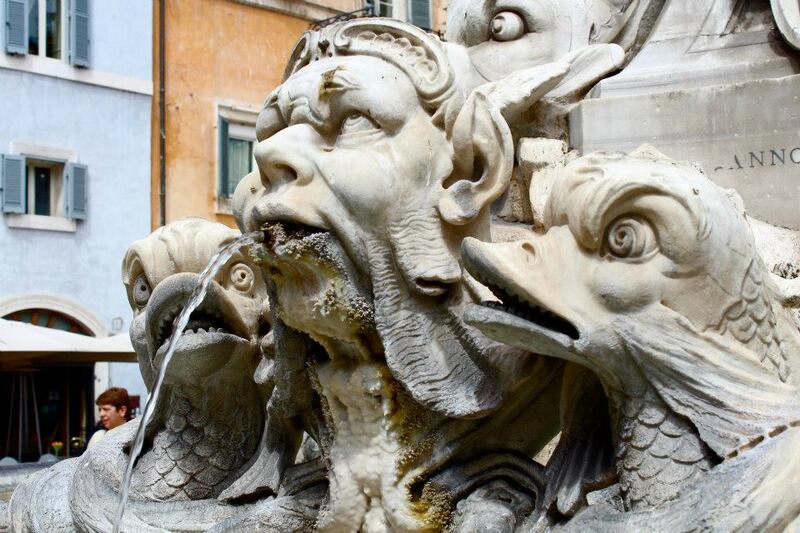 In the meantime, look at the faces on this fountain in Rome!